As the hundredth anniversary approaches, it is timely to reflect not only upon the Great War itself and on the memorials which were erected to ensure it did not slip from national consciousness, but also to reflect upon its rich and substantial cultural legacy. This book examines the heritage of the Great War in contemporary Britain. It addresses how the war maintains a place and value within British society through the usage of phrases, references, metaphors and imagery within popular, media, heritage and political discourse. Whilst the representation of the war within historiography, literature, art, television and film has been examined by scholars seeking to understand the origins of the 'popular memory' of the conflict, these analyses have neglected how and why wider popular debate draws upon a war fought nearly a century ago to express ideas about identity, place and politics. By examining the history, usage and meanings of references to the Great War within local and national newspapers, historical societies, political publications and manifestos, the heritage sector, popular expressions, blogs and internet chat rooms, an analysis of the discourses which structure the remembrance of the war can be created. The book acknowledges the diversity within Britain as different regional and national identities draw upon the war as a means of expression. 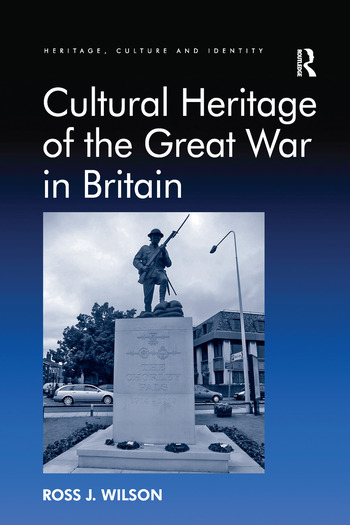 Whilst utilising the substantial field of heritage studies, this book puts forward a new methodology for assessing cultural heritage and creates an original perspective on the place of the Great War across contemporary British society.